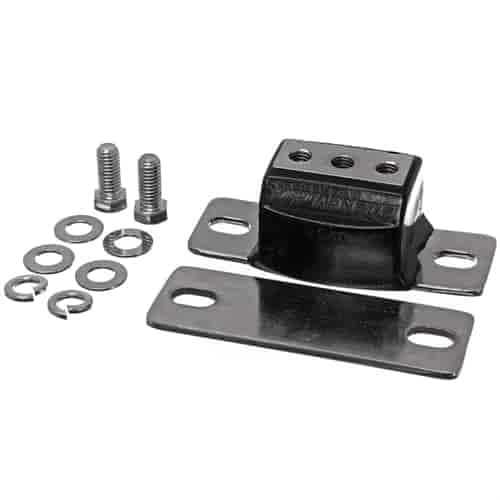 Energy Suspension polyurethane transmission mounts feature heavy duty steel hardware and polyurethane bushings. The bushings are soft enough for smooth operation on the street, and strong enough for use during a race. The high performance polyurethane construction provides stiffer and longer lasting performance than rubber bushings. These mounts are extremely resistant to road and vehicle chemicals, and will not rot like rubber can. Does Energy Suspension 3-1132G fit your vehicle? 3-1132G is rated 5.0 out of 5 by 1. Rated 5 out of 5 by 67ssrs from Looks great It worked great, looks great. I have the motor mounts too. Instructions could be better.